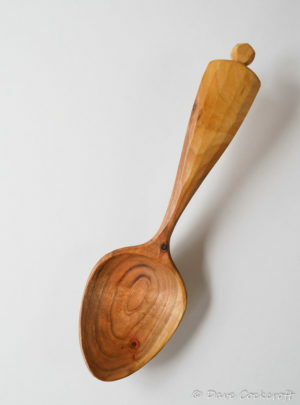 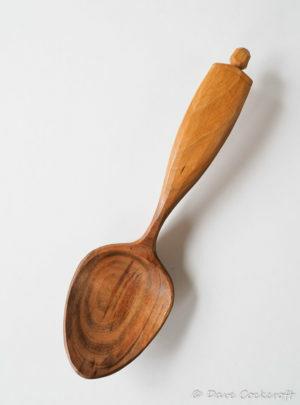 This is a one off spoon at present, a cherry wood eating spoon with a lavaspoon style milk paint handle. 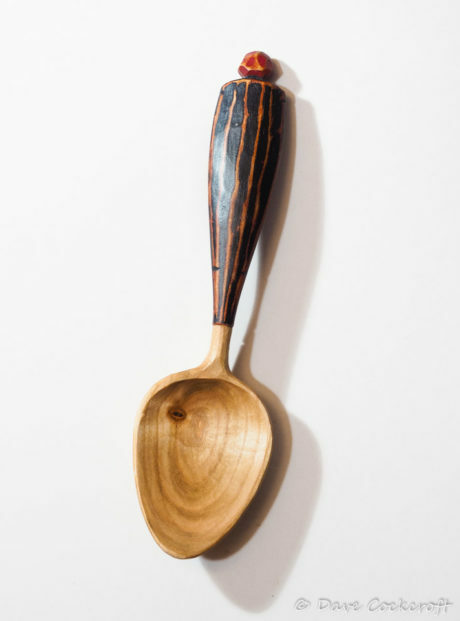 I usually use sycamore for this as the contrast between the painted handle and pale bowl is more striking. 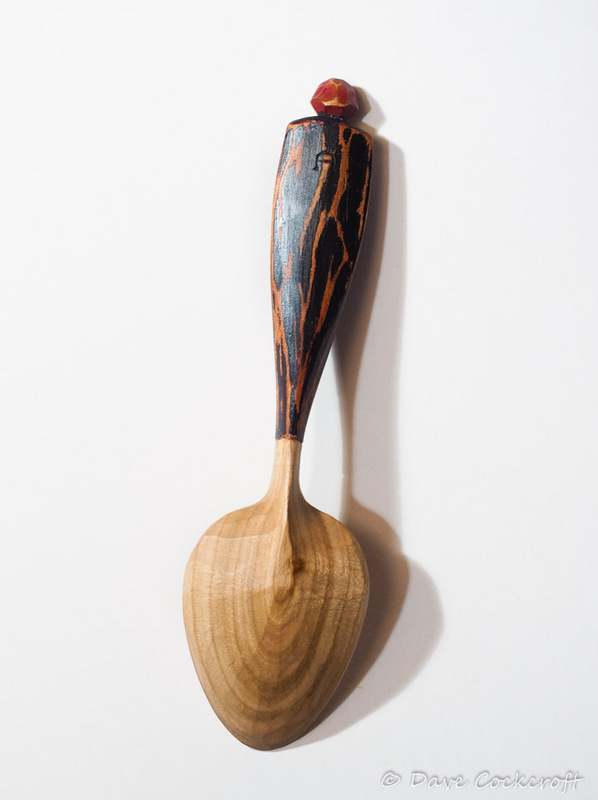 However I rather like how this turned out, the red is a bit moe subtle as the wood is darker and it’s been well received, so who knows it may be the first of the line cherry lava’s. 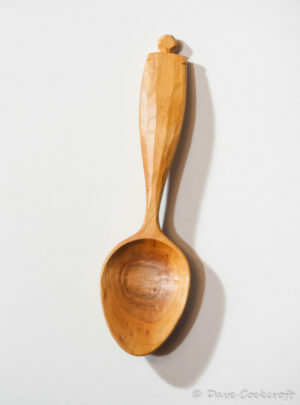 But for now it’s one and only. The bowl of this spoon has a fantastic bold heartwood grain pattern in striking contrast to the paler handle. 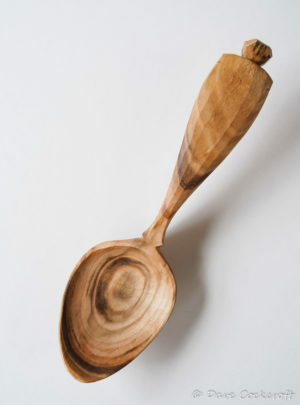 This wood is very hard and the bowl is silky smooth so it should eat like a dream. 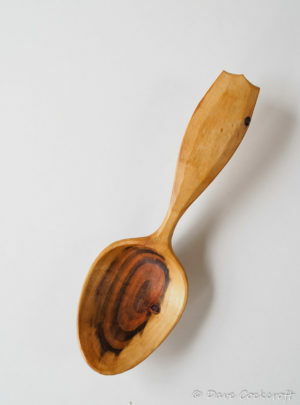 This blackthorn spoon has an asymmertic bowl making suitable for right handers only. 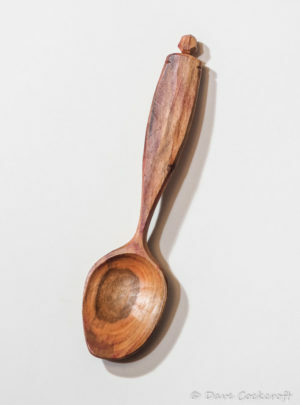 I’ts a tough little spoon being made entirely from heartwood and there’s some lovely dark red tones in handle as well as the bowl. Note that over time the red will most likely fade to a dark brown but it’ll still be gorgeous. 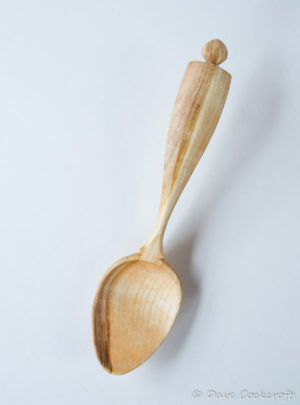 It’s a bit cheaper than most of my other blackthorn spoons as it was squeezed out of a shallower piece of wood and has a little less crank than usual. 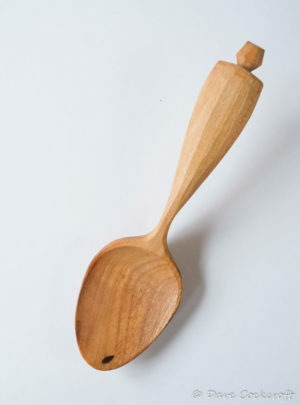 This is a robust plum spoon with less colour than some but bold facets and large finial to compensate.